APC NATIONAL CHAIRMAN OYEGUN CLEARS LASUN ON ALLEGATION OF ANTI-PARTY ACTIVITIES. The Nation Chairman of the All Progressives Congress‎ Chief John Oyegun has cleared Deputy Speaker of the House of Representatives, Rt Hon Sulaimon Lasun Yussuff of the accusation of involving in anti party activities. Deputy-Speaker while recounting his emergence as the Deputy-Speaker of the House in a keenly contested election in June 2015, explained that the process was not a disrespect to the Party’s directive as there was no formal invitation to any meeting of APC Members of the National Assembly by the party prior to the Inauguration of the Lower chambers. Lasun Yussuff stated this when interacting with members of APC during his consultation moves with party stalwarts across Osun state towards his governorship ambition to Ikoyi, Apomu in Isokan local government of Osun state. 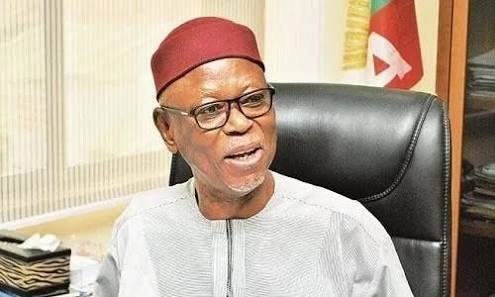 Prior to the inauguration, the party hierarchy led by our respected National Chairman, Chief John Oyegun did not invite any members of the National Assembly to any meeting. However, we were taken aback when a meeting was called recently and many of us (including my humble-self) were labeled as not respecting the party. But the National Chairman asked, what did Lasun Yussuff do ? He assured the Kabiyesis , that three economically viable roads are of utmost importance to him if comes on board as Governor of Osun state in September 2018. These are: Gbongan-Orile-Owu; Iwo-Ede junction and Osogbo-Ilobu-Ogbomosho road. At Ogiyan of Ejigbo’s palace, Rt. Hon. Lasun Yussuff promised that his government would have human face and take advice from Elders, Women and Youths for proper development of Osun State. Oba Oyesosin alluded that ‘Power corrupt, absolute power corrupt absolutely,’ when power comes, please, be humble, you are a man of humility please, let it speak for you. At Okuku, Prince Olagunsoye Oyinlola, former governor of Osun State assured Rt. Hon. Lasun Yussuff of his support even promised to mobilise support for him. Start Working, Stop Blaming Us – PDP Tells Buhari.